Create an outdoor seating area that will compliment your space available with the Platform outdoor sectional sofa. Shown here is the sofa daybed left. 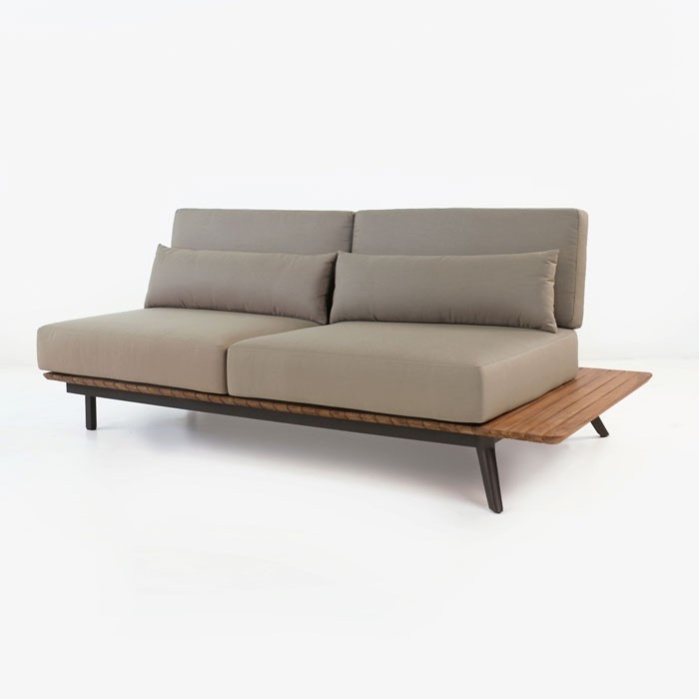 This can be combined with the corner unit, right sofa or left/right loveseat daybed. 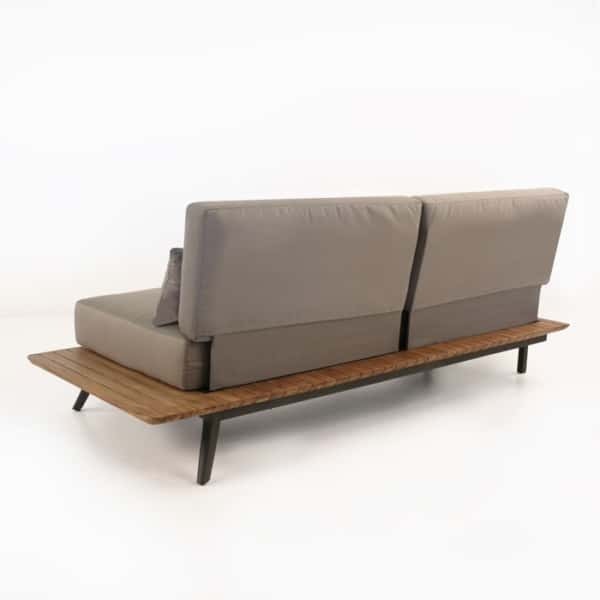 The Platform sofa sectional has a mid-century modern vibe. The low profile is sleek and airy. These qualities help to make a smaller area seem larger with a nice flow. The mixture of materials and colors will blend nicely with an industrial design motif. Create an L-shaped sofa centered around a concrete fire pit in your backyard space. Or enjoy on a roof top deck of your big city condo. W79" x D36" x H32"
The Platform left sofa daybed as well as all of our furniture here at Teak Warehouse is built with the highest quality craftsmanship. Design, functionality and comfort are important to us. 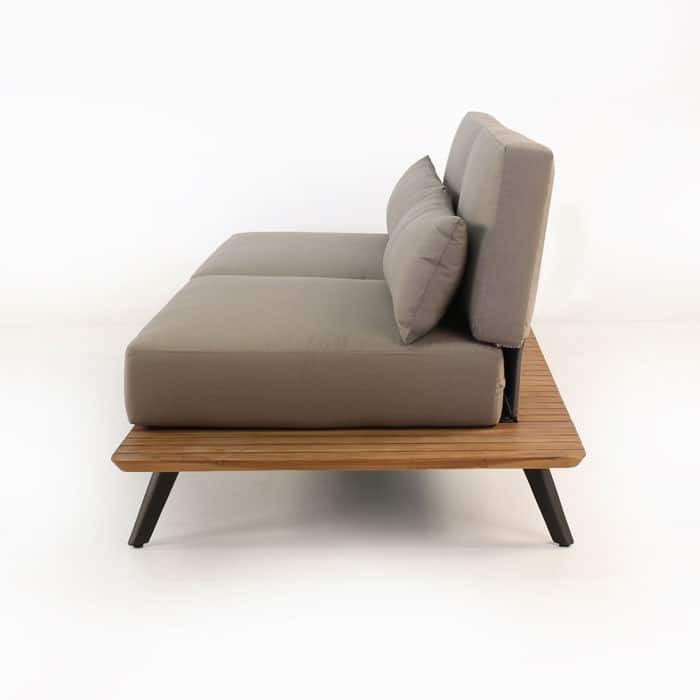 This frame of this outdoor day bed is made with powder-coated aluminum frame, support mesh and recycled teak. We then top it with the highest quality cushions made with Sunbrella® fabric. These materials are weather resistant and durable. The Sunbrella® cushions have a special feature that is unique to the Platform collection. 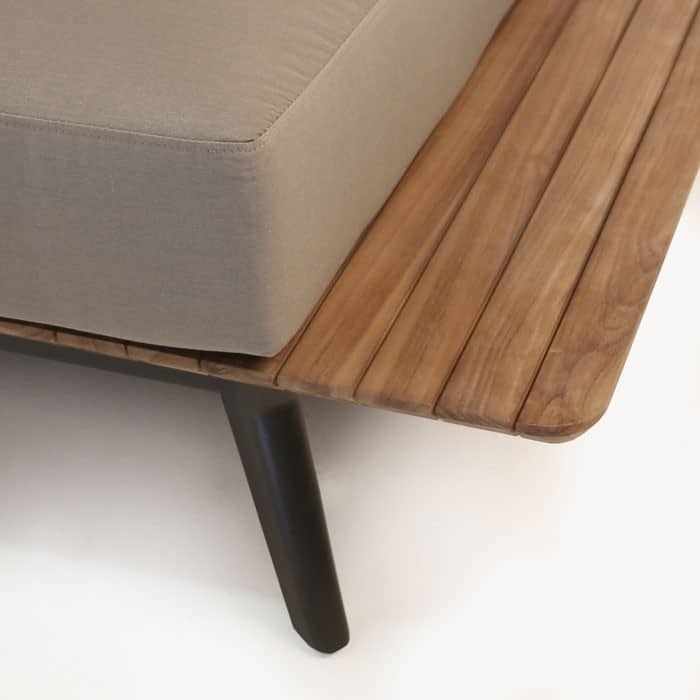 They have a hidden pocket in the back cushion that allows it to slip over the frame. This will hold the cushion in place and keep your furniture looking it’s best. Each piece also comes with a seat cushion and lumbar throw pillow. Let us help you create the outdoor space of your dreams. Call us today if you have questions or need help. Or stop by one of our showrooms. Don’t forget, we ship nationwide and every piece is fully assembled.